We’re excited to announce an important update to MEST’s award-winning software and business development training program for Ghanaians and Nigerians. Beginning with our next class, MEST will go from a 2 year program, to a 1 year intensive program. With this change, we hope that a broader number and variety of candidates from different backgrounds will now be able to quickly acquire the skills they launch technology companies. 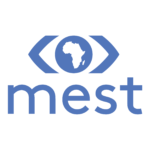 MEST is looking for the next wave of African technology entrepreneurs — could it be you, or do you know someone who qualifies? We are now accepting entrepreneur applications. Here’re the details. The Meltwater Entrepreneurial School of Technology (MEST) offers a 12 month fully sponsored program focused that provides software and business development training to African entrepreneurs. We have trained over 200 entrepreneurs and invested over $15m in supporting software startups that came directly out of MEST. These companies have developed solutions addressing global markets, created jobs, competed in top global technology events such as TechCrunch Disrupt, DEMO, and the Launch Festival, and have gained admittance to top accelerator programs such as HealthXL and 500 Startups.